There is no shortage of social and economic problems afflicting contemporary developed societies in the twenty-first century. Many issues, mentioning only a few, relate to transportation, externalities such as greenhouse gases, information assymmetric problems, sanitation and a clogged criminal justice system. Economics and the other social sciences have risen to these challengers with theory and evidence concerning property rights, information, externalities, free rider issues and the problems posed by common pools. Incredibly, there was a “traditional” economist — at least in the tradition of Jeremy Bentham and Adam Smith — working in the classical period of the nineteenth century that offered solutions to such problems. Sir Edwin Chadwick (1800-1890), knighted by Queen Victoria in 1889, almost unknown among economists or policy makers (except among sanitation engineers and those interested in public administration) is an important and largely unrecognized exception among writers of the classical period. Ed Price and I argue that he was the most profound thinker of the period on economic incentives and their application to such “modern” problems. Amazingly Chadwick was armed with sophisticated conceptions of moral hazard, the common pool, asymmetric information and a theory of competition that differed starkly from that promulgated by Adam Smith and classical economists in his lineage. Utilizing these tools, he set about gathering data on problems such as those encountered in railway transportation, the English police and criminal justice system, urban utilities and sanitation markets, the market for funerals and interment of the dead being one of them. Chadwick’s rejection of the class and labor righties and the “Mandevilian” view of human nature (named for Bernard de Mandeville (1670-1733) — that the poor and lower classes were little more than lower animals –) goes far in explaining the root of his sanitation and educational recommendations to support labor’s upward mobility. His views on labor issues, including problems of “illegal immigration,” speak volumes about the methods of solving the same or similar problems today. His empirical studies alone were conducted with unprecedented zeal for using data to support economic positions regarding labor, sanitation and transportation, a practice mainstream economists adopted only much later in the following century. Ed Price and I have written a book entitled ‘The Economics of Edwin Chadwick‘ that at least partially remedies the gap in our appreciation of this great utilitarian thinker who attacked both large and small issues facing the British of his time. We investigate many of the solutions raised by Chadwick, including such relatively minor issues as “why so many prisoners transported to Australia died on the way” and “how beer could best be supplied in pubs so as not to become stale.” But he addressed very major issues as well. Chadwick, in particular, invented (or extended Bentham’s invention of) a new form of competition called “competition for the field,” that is the entire field of service. Chadwick argued that the government itself was incapable of operating anything but that it could contract out competitively to private entrepreneurs one of which who would, with stipulations, supply the entire field of service. While subject to problems, that system of competition is used today in countries around the world in such areas as the provision of utilities such as water and electric power. Chadwick applied his system, together with liability placement, free-rider principles and moral hazard to problems as diverse as transportation, funeral and graveyard supply, insurance, accidents, sanitation and the plight of nineteenth-century labor. Thus our emphasis is on how Chadwick used economics to attack issues of interest and importance today. We focus on Chadwick’s new form of competition as applied to rail transportation in England at the time, on how he would go about applying economic theory to urban externalities emerging the wake of the Industrial Revolution, and on how the police and criminal justice systems might be reordered in order to obtain efficiency. Further we investigate Chadwick’s utilitarian approach to labor, business cycles and economic growth, as well as his understanding of the interface between economics and political motives, contrasting his modern view with those of his classical economic contemporaries. Chadwick’s enormous output undoubtedly contains additional insights, but we offer this book as a first attempt to establish him as an original and trenchant thinker on economic problems and welfare and as a prophetic voice on contemporary issues. The central point is that problems faced by highly developed first-world countries, are, even given technological advances, remarkable similar to those tackled by Chadwick. 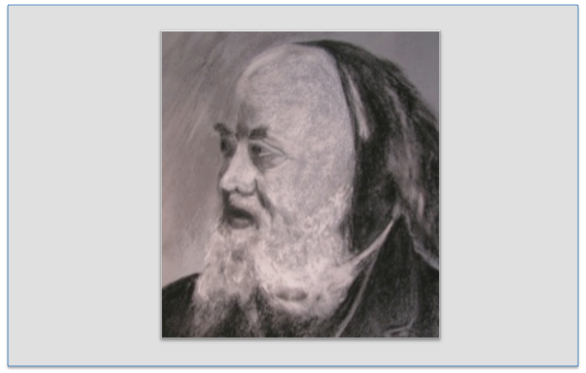 Sir Edwin Chadwick, armed as he was with proto-modern economic tools and concepts, was able to offer unique and inventive solutions that still deserve close attention. Bob Ekelund is Professor and Eminent Scholar in Economics at Auburn University since 2003 and was Acting Director of the Jule Collins Smith Museum of Fine Arts in 2006-2007. He is the author of 24 books, including The Persistence of Myth and Tragedy in Twentieth-Century Mexican Art, has written more than 150 research papers and is currently an avid collector of American Art. His hobbies include classical piano and painting.